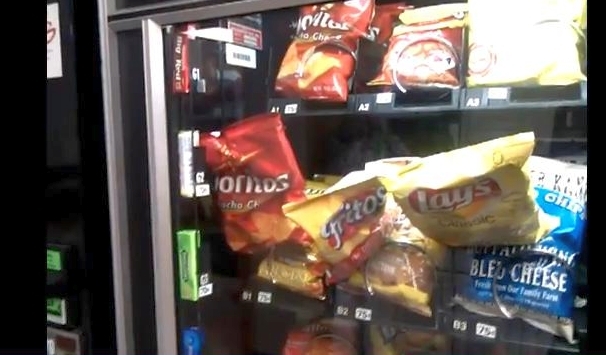 Chips Stuck in Vending Machine A Viral Video? Viral plant? Seeded video? Stealth marketing? Random video which just happens to have three Frito Lay products in it? You decide. It's got 24,000 YouTube views so far. It's on eBaums World. It's on Digg. Who knows. Who cares.